"mme moe app combines reflective practice, a growth mindset and standards to coach professionals." 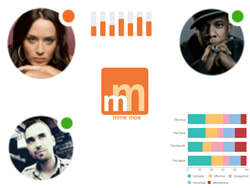 mme moe is a mobile Web app that tunes professionals to the habits of highly effective people. Teachers, principals, managers, nurses, interns, currency traders, executives, students, anyone seeking to improve, can now hold a personal coach in the palm of their hand. Developed in Australia and deployed worldwide, mme moe is used across education, health and other industry sectors. mme moe transforms professional development, professional learning, learning and development, performance reviews and traditional HR performance management processes. '​mme' (maximising my effectiveness) functionality enables each profesisonal to identify, prioritize, and plan for personalised learning. It provides the functionality and flow of a good coach, except that you are coaching yourself. You make 'turn and click' reflections from day to day. mme moe maps your reflections to your local professional competency framework. mme moe then presents your data, mapped to resources, and enables you to springboard into a range of personalised coaching activities, set out in mme moe as your own Plan. 'moe' (managing our effectiveness) enables each professional to build a Professional Learning Network and provides the option to share professional learning plans, self-assessments and evidence with buddies, mentors and/ or supervisors. Supervisors or managers are also able to access anonymized data on overall team development and resourcing trends so staff can be supported more effectively. In this way, annual or termly professional reviews can become more effective for everyone.